JNN 29 May 2015 Kuala Lumpur : Manipulating the Quranicverses and Prophet Muhammad’s (PBUH) hadith, to justify the terrorist group ISIL’s inverse struggle via social media, provided a popular medium in enlisting new recruits. This has been revealed in the police investigations and study during interrogations of Malaysians, who were arrested for their involvement with the Terrorist group. Bukit Aman Special Branch Counter Terrorism Division principal assistant director, Datuk Ayub Khan Mydin Pitchay said 95 per cent of the detainees were influenced after seeing videos or reading about the ISIL. “Our probe has revealed that 95 per cent of them were recruited through the social media and we are having issues in blocking them as most of the Terrorists are savvy in utilising current technology,” he said. He was speaking to reporters after presenting a talk about IS Terrorist group organized by Masjid Kampung Rawa, Saturday night. On April 16, Home Minister Datuk Seri Dr Ahmad Zahid Hamidi said 95 Malaysians were detained over alleged links with the ISIL Terrorist Group. Ayub Khan said 63 were detected to be in Syria to fight alongside the terrorists there, but the figure could be more, possibly up to 80 Malaysians. He believed the effective approach to curb the Terrorist influence, was collaborating with the Islamic Religious Department in every state to give talks to the local community at mosques and suraus. He said role of the police was in terms of enforcement by arresting those involved in the Terrorist activities while other relevant parties would give talks explaining to the public about the inverse ISIL struggle, which did not represent Islam. Ayub Khan said the police were cooperating with the Interpol to investigate Malaysians involved with the terrorist group abroad, but it was difficult to conduct probes as these countries were in turmoil. Plus a Major Set Back for the Malaysian and Like Minded governments is that as Malaysian Government Officially follows Wahabi Ideology , and sectarianism is so much promoted by the Government that Any Muslim Sect , except Wahabi Ideology is strictly Banned by Government , upto such a Level that even the Local Shia Community Members are Put Behind Bars , if they are caught Commemorating their Religious Events or even Reciting their Prayers . The Nations following the Wahabi Ideology are a fertile land for the recruitment of Terrorists , in the Name of Jihad ( Holy War ) and Propogation of their Ideology . The time has come that now all the Muslims should Research and follow the True Islam , and not the Misinterpretation of Islam , which leads to terror , Killing and Destruction of Humanity , while the True Islam is the Religion of Nature , which Preaches Peace , Harmony , with the Best living Standards under any Prevailing conditions , where Right of every Human , even Animals is not violated , with out any Justification . 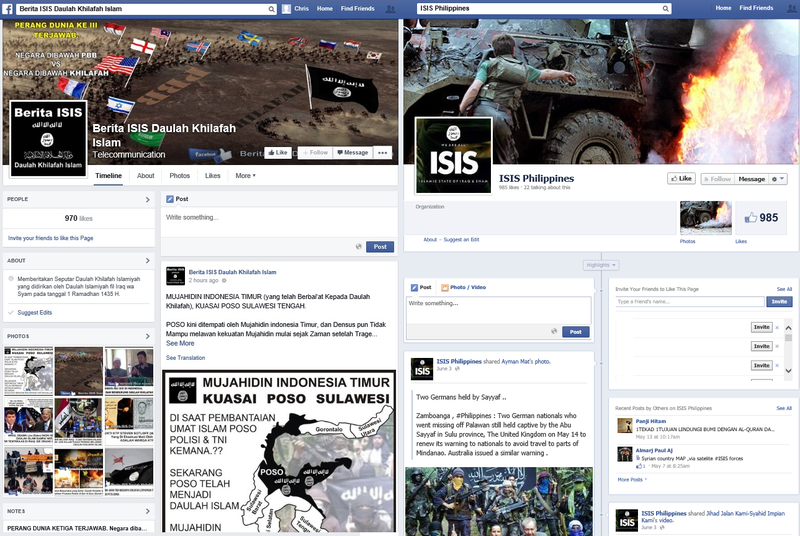 This entry was posted in Asia Pacific, Middle East and tagged ISIL, ISIS, Malaysian, Recruitment Campaign, Social media, Terrorists. Bookmark the permalink.